Summer is in full heat now and there’s still so much left to look forward to. 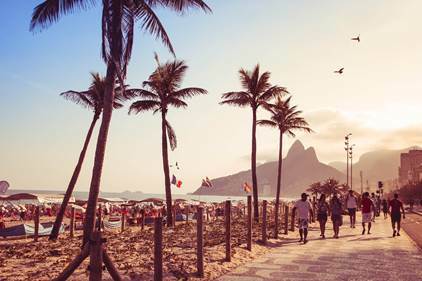 One of the most exciting upcoming events to take place within the next month is the 2016 Summer Olympics transpiring in the Brazilian city of Rio de Janeiro. The best athletes from all over the world come to represent their countries and compete in the biggest collaborative competition ever created. However this tournament isn’t just about competition, it has an overlying message of peace and collaboration amongst all of the world’s countries and it is a beautiful celebration of the human spirit. There’s no denying that the Olympics influence a wide variety of things across the globe when they are in session. One major cultural aspect being affected by the Olympics is design trends for the summer of 2016. This summer is the summer of Brazil and all the bright and audacious colors that come with the rich heritage of the country. Designers are taking hints from Brazilian culture and incorporating them into their designs and we suggest you do the same. 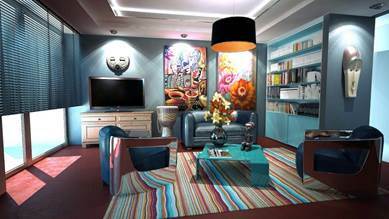 Implementing bold patterns, mixed themes, and exotic bright colors are great ways to get into the spirit and spice up your living area. 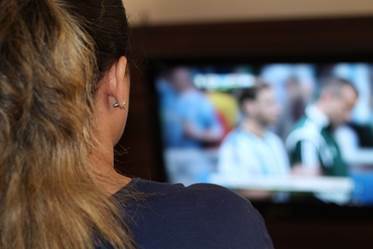 Synonymous with big sporting events are the gatherings and parties that arise dedicated to watching them, and if the idea of hosting such an event appeals to you then we have a few tips to help you along the way. Dive into the culture and prepare Brazilian inspired dishes such as pastels, acai smoothies, or Pão de queijo. It’s also a good idea to have some alternative activities available for those that aren’t interested in watching the events. Keep the atmosphere as relaxed as possible and enjoy the company of those around you. “The most important thing in the Olympic Games is not to win but to take part”-Olympic Creed. Not only is participation the most important thing in the Olympics but the same goes for our business. Village Carpets Flooring America is a locally owned business which is part of a larger cooperative that relies on all the support and participation of its members. We work together to offer competitive prices to our customers while maintaining our local identity and participating in our respective communities. We hope that you and your family enjoy the rest of summer and watching the Olympic Games just as much as we do!